A black shirtdress is always a good choice, especially when you don’t know what kind of dress code you should follow. Here we see a black shirtdress completed with caged studded pumps. Simple, fresh and ladylike look. Be sure to try the following pastel turquoise caged studded flat pumps this Summer. We see them styled with all white look, consisting of a white tank top and knee-ripped skinny jeans. Update this style by adding oversized sunglasses and pastel turquoise handbag. 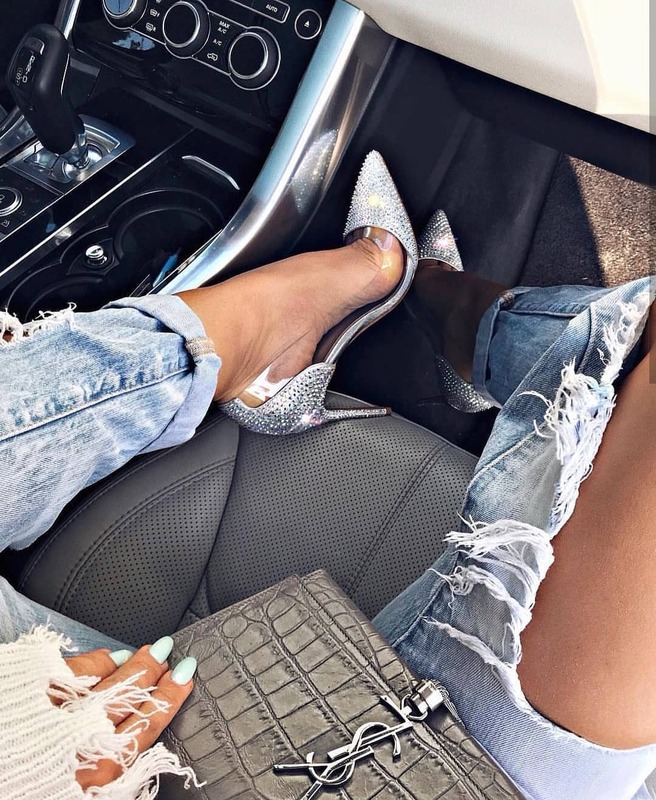 If you want to make a statement this Summer, then you definitely should try these studded silver pumps with clear panels. They look awesome with all kind of dresses, but you definitely can pair them with knee-ripped cuffed boyfriend jeans.